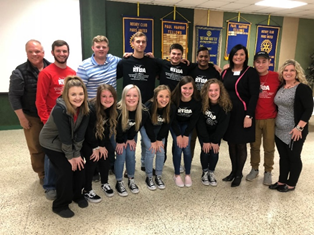 The Rotary Club of Paris United sponsored 12 Juniors from local High Schools and 2 student leaders from Paris Junior College to participate in RYLA (Rotary Youth Leadership Award) camp the weekend of February 22-24, 2019 in Athens, TX, along with approximately 90 other high school students from NE Texas. The participants provided a report at the Feb 28th Rotary club lunch meeting. List of participants is noted below. 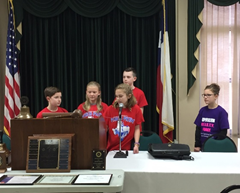 The Rotary Club of Paris United had a very enjoyable program during our meeting on Jan 31st presented by Debb Fleming and Student Team(s) from Crockett Intermediate School in Paris, TX. “Paris Pride” is a program to increase access to Lamar County's history. The students are researching the history of chosen buildings and will link all our documented building's history with a QR Code attached to the building. They are raising money to purchase brass plaques to put on 6 of the downtown plaza buildings with the name of the building in 1917. Paris United club members provided a donation of $296 to the program for the addition of brass placque(s) and QR codes to selected downtown historical buildings. The Rotary Club of Paris United Dictionary Project is now completed. We distributed dictionaries / reference books to all third grade students in the Lamar County public schools during November/December 2018. Photo from Deport Elementary is shown. There are several reasons WHY people join and participate in local Rotary Clubs worldwide. Maybe they’ve seen a need in our community and wondered how they could help. Maybe they want to use their professional skills to help others or learn new skills. Maybe they’re seeking connections with other service-minded professionals in our community or abroad. Whatever their reason, joining Rotary can help achieve these goals, and so much more. Weekly meetings provide great opportunity to meet and connect with community leaders and business owners. It is an excellent way for new and current residents to meet new people and become more aware of activities in the community. Weekly lunch meeting speakers provide information on local businesses, services and activities in the area. Paris United conducts an annual Youth Leadership (RYLA) camp for selected high school students to develop and enhance their leadership skills. Rotary is an International organization with clubs throughout the US and most countries worldwide. We provide support and donations to identified service projects internationally, and the opportunity to participate in such programs directly. 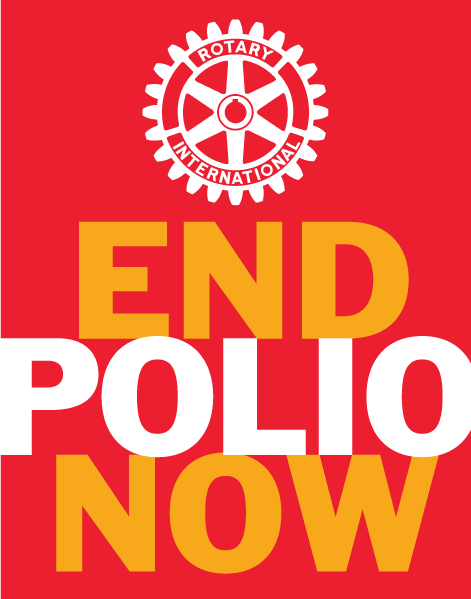 Our largest and proudest effort is our work to eradicate polio. We initiated this campaign in 1979 by vaccinating children in the Philippines. With the help of our global partners, including the Bill & Melinda Gates Foundation, we have reduced polio cases worldwide by 99.9%. (WPV Type 2) OFFICIALLY ERADICATED!!!! (WPV Type 3) ALMOST ERADICATED!! Last Case, 2012 (3 years ago)!